Pastoralists in the Horn of Africa are believed to be the largest conglomerated population of traditional livestock producers in the world, occupying roughly 75 percent of national land mass in Somalia alone. Following traditions that date back centuries, pastoralists rely completely upon their livestock herds for economic and social stability, leading many nomads to bring what remain of their goats, camels, or cattle herds with them while fleeing violence and drought in refugee camps. The mobile nature of pastoralism often means that the only assets herders possess are the animals that make up their herd. The needs of displaced pastoral herders are rarely fully met within established refugee camps. Supporting pastoralist refugees often requires greater resources than caring for other internally displaced persons (IDPs) or refugees. Veterinary care for livestock, food and water for ruminant herds, and enough space to maintain a mobile, non-sedentary lifestyle are among nomadic needs that go unmet. Malnutrition, described as cano la’an, or the “suffering due to lack of milk” plagues these camps. At the Dadaab camps in northern Kenya, administrators have introduced numerous, often expensive measures to combat malnutrition among IDPs and refugees. Implementing camp programs that support goat and camel herds– and the milk and meat they bring– would be a low cost alternative to improve camp-wide health and nutrition. This method offers economic opportunities for herders as well as dairy and meat processors by capitalizing on existing skills to stabilize the health and economic well-being within camps. More importantly, it helps build business skills for residents to bring back home. The UN Refugee Agency (UNHCR) has begun experimental ‘hosting areas’ for pastoralist refugee populations. These are vast areas where nomadic refugees can settle freely with their livestock, enabling them to live according to their traditional and pastoral way of life with grazing land for their animals. 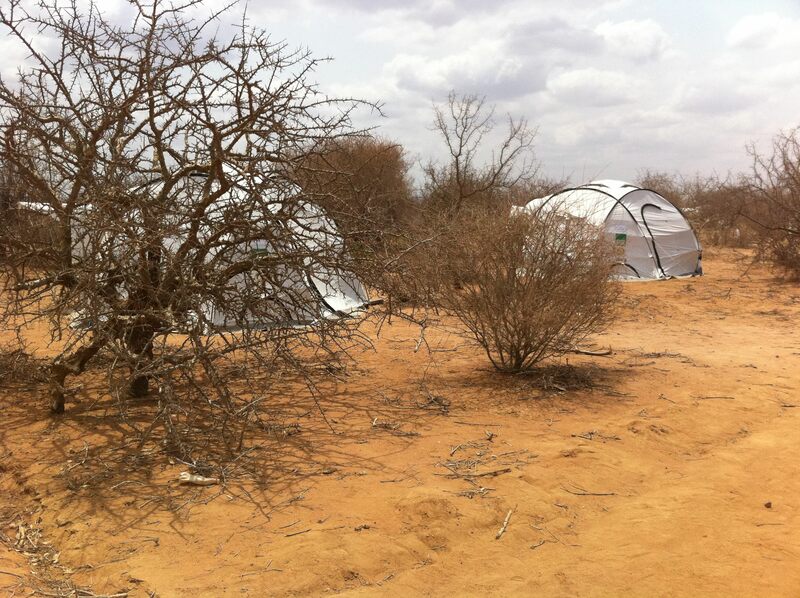 In April 2013, the UNHCR established the Intikane Hosting Area in Niger, specifically for Malian nomadic refugees. In partnership with various operations and organizations, UNHCR is able to provide necessary resources to pastoralist refugees that they would not have received otherwise. A movement towards innovative refugee support systems similar to the UNHCR programs could be very effective, especially in regions of northern Kenya where a new influx of Somali refugees could soon emerge. In light of security and resource concerns, the importance of support for vulnerable populations, but particularly pastoralist communities, is undeniable. Given the appropriate resources, pastoral refugees can retain their economic livelihoods while providing nourishment for themselves and others. In this regard, the ability to maintain even a small herd while staying in a refugee camp provides pastoralists the opportunity to contribute to regional resilience and stability. Caitlin Allmaier is a researcher for the Global Food Security Project at CSIS. Nice piece. I had no idea there was a drought and risk of severe famine. As if Al-Shaabab was not enough to deal with. Still, it would be good to get in front of this before the crisis is full blown.